Which Character's Vacation Ended Up Being the Biggest Disaster? It’s never fun to end up working when you’re supposed to be relaxing. But it’s even worse to find yourself forced to save the universe/solar system/planet when life’s supposed to be getting less hectic than normal. Which character’s holiday plans were ruined the most by circumstances beyond their control? Please include a picture, poster, clip, piece of artwork, comics panel or book cover for your chosen awful vacation. And please mention the name of the character and what happened to ruin their day off. Thanks! 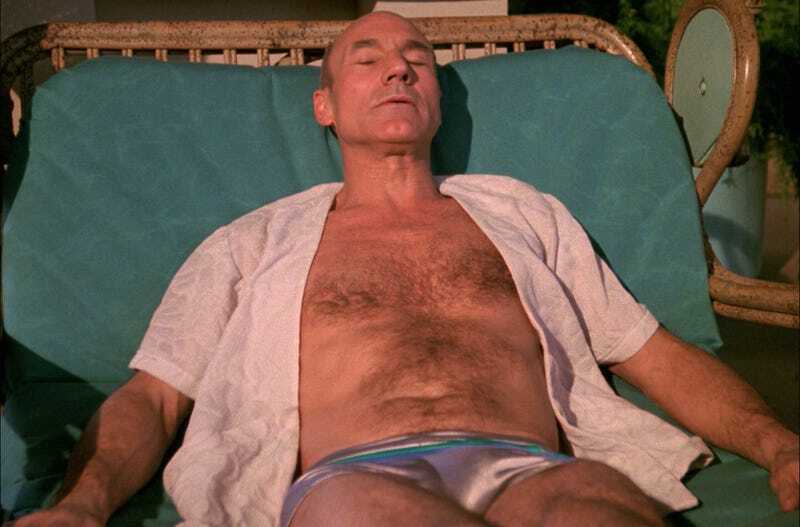 Top image: Captain Picard and his shiny shorts try to get some sun in “Captain’s Holiday.” Mostly, though, he’s going to spend his time running from Ferengi. And Vorgons from the future.